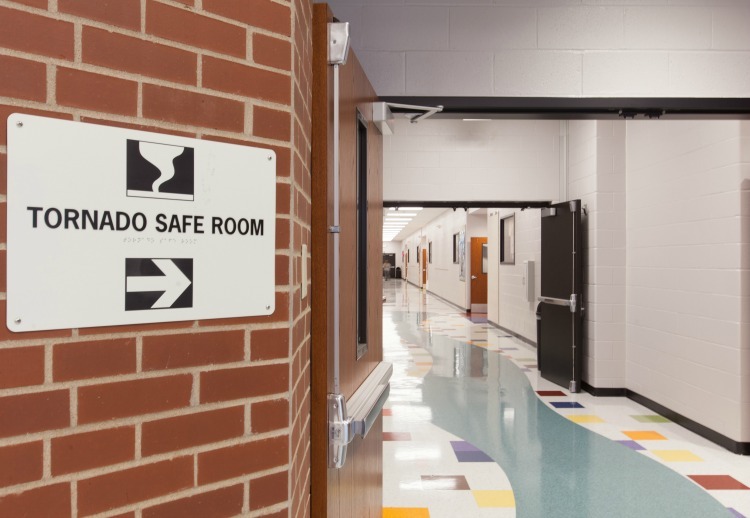 The standards for building storm shelters for education facilities have changed in meaningful ways as new technology and more nuanced understanding has evolved. The biggest push for storm shelters was caused by the 2015 International Building Code mandate for storm shelters. Cities in North Texas have adopted the 2015 IBC, with the NCTCOG amendments. The 2015 IBC mandates storm shelters while the referenced ICC 500 sets the standards for construction. A map shown by architect Daniel Dain, AIA, of Stantec Architecture, at the beginning of his presentation illustrated the prevalent 250 miles per hour winds that cover a good portion of Texas. Daniel mentioned the map has changed over the years, and it will certainly change again, but having access to this information is important so that we can plan for the future of storm shelters. 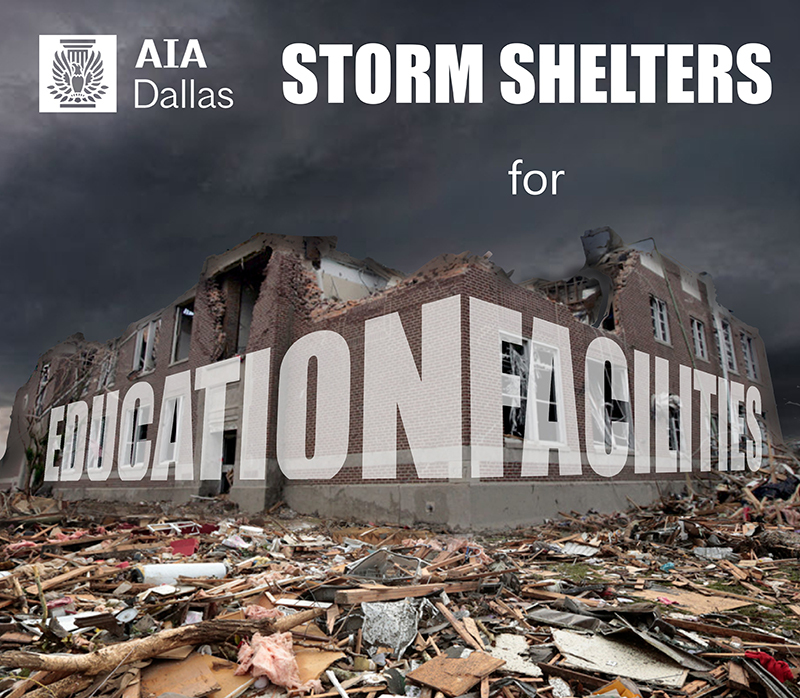 When beginning to plan, there is a lot of confusion surrounding the language that is used by architects, building officials, engineers, and others involved in designing and implementing storm shelters and emergency plans. The codes often only require the minimum, a reality touched on by each speaker –Daniel Dain, AIA, Denise Chuck, Rick Herzberger, Benchmark (Ben) Harris, and Michael Clendenin. What is the “right” size for a storm shelter? Should we only fulfill the minimum, or should we exceed the minimum? What is the “correct” occupant density? Is it different when a shelter is designed for adults when compared to a shelter designed for first graders? How can we make intelligent decisions that consider the future? An issue pointed out by Denise Chuck, from Parachute Consultants, is that educators frankly cannot plan more than five years into the future. The demographic is constantly changing with each new generation. 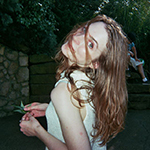 What may make sense now, may not make sense five years from now, and these are things we cannot predict. Each municipality interprets codes differently as well, which can confuse the matter further. Communication is of the utmost importance early in the process to ensure everyone is on the same page and that all codes and requirements are being met. Rick Herzberger, Chief Building Official for the City of McKinney, mentioned he always goes back to the definitions laid out in codes and tries to understand how others may interpret the same definition differently. Ben Harris, vice president of engineering at Huckabee, believes storm shelters are still in the “wild, wild West” because the codes and standards are not clear, nor is there consistency. Harris claims there is a mixture of misunderstanding, confusion, and improper use. Building officials and teachers are also not always aware of how to use storm shelters. Proper communication early on is important when implementing these buildings more effectively. Harris asks that we develop a standard of care by being thoughtful in our designs when considering how others are going to interact with the built environment. Michael Clendenin, president and CEO from EMA, closed the presentations by discussing requirements for critical support systems, which he believes were originally written for hurricanes then adapted for tornados. This begs the question of how might codes and standards be poorly suited for the threat of a tornado? He elaborated on the different aspects that are required for storm shelters –ventilation, plumbing, water storage, waste handling –and how we might design each of these in the future. If you missed this discussion, make sure to check out PBK’s whitepaper attached as a resource (see left-hand column) and AIA Dallas’ other upcoming presentations here.